Please note these posters are vintage and the edges are weathered! 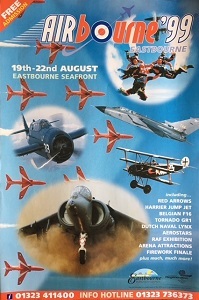 Grab yourself one of these fantastic posters used during Airbourne 1999. These posters are in short supply and once they're gone - they're gone! The size of this poster is 30 inches high and 20 inches wide.